‘Abd al-Karim al-Iryani, former Yemeni (and before that, North Yemeni) Prime Minister and Foreign Minister, died November 8. 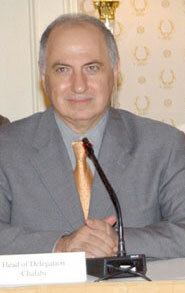 The US-educated (Georgia and Yale) Dr. Iryani served in many posts during his career, including Prime Minister of the Yemen Arab Republic from 1980-83, then as Foreign Minister from 1984 to unification in 1990, continuing as Foreign Minister of united Yemen until 1993, and served as Prime Minister again in 1998-2001. Professor Mark Katz of George Mason University shares memories of Dr. Iryani here. 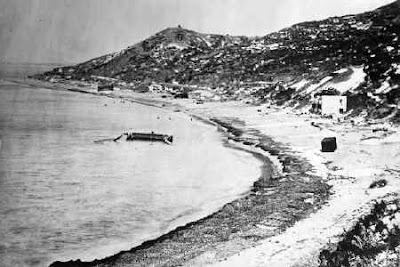 On November 6, 1975, with Francisco Franco on his deathbed, thousands of Moroccan civilians and units of the Moroccan Army gathered at Tarfaya in southern Morocco and prepared to cross into the Spanish colony of Spanish Sahara. 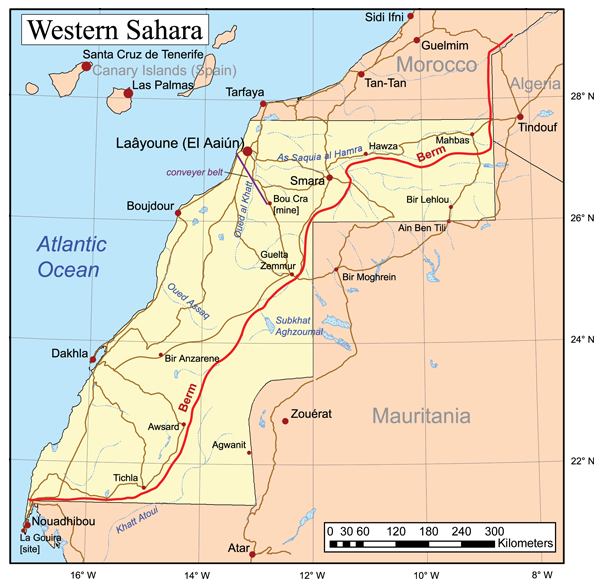 The "Green March" was not resisted by Spain, but led to a war between Morocco and the POLISARIO Front (and for the first few years, Mauritania, allied with Morocco). The war ended with a ceasefire in 1991 and an agreement to hold a referendum on Independence, Moroccan rule, or autonomy. 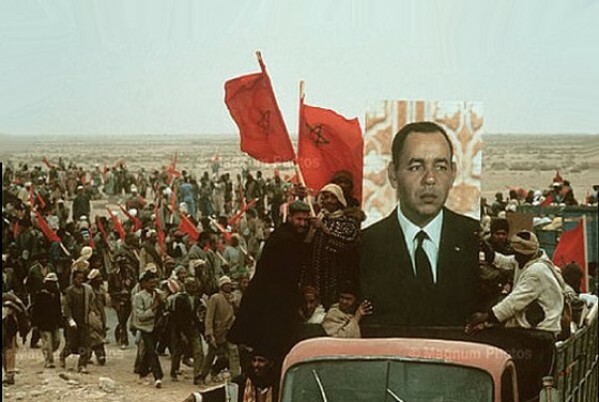 Twenty-four years later the issue remains unresolved, and Morocco controls the bulk of the territory behind a defensive berm, while POLISARIO controls the eastern desert area, which has access to neither the phosphates nor the fisheries in the Moroccan zone. 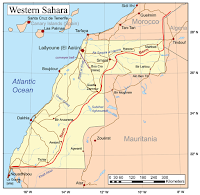 What in 1975 seemed to be the decolonization of one of Europe's last African colonies remains incomplete, with some Sahrawis seeing Spanish colonial rule as merely supplanted by Moroccan (though the Moroccan-occupied areas do vote in Moroccan elections). I haven't commented so far about the speculation around the downed Russian airliner because there seemed to be too little evidence and it seemed wise to wait until more was known, despite the various talking heads on all-news channels speculating wildly. But today was stunning. As recently as yesterday Russia, the most interested party, was urging caution and warning that speculation was premature. Egypt was clearly annoyed at Britain's suspension of flights from Sharm al-Sheikh, which coincided with President Sisi's visit to 10 Downing Street. But today Russia not only reversed field completely but raised the stakes: suspending all Russian flights not just to Sharm but to all of Egypt, once it evacuates some 50,000 Russian visitors. And it was the Federal Security Service (FSB), Russian Intelligence, chief who urged Putin to do so. 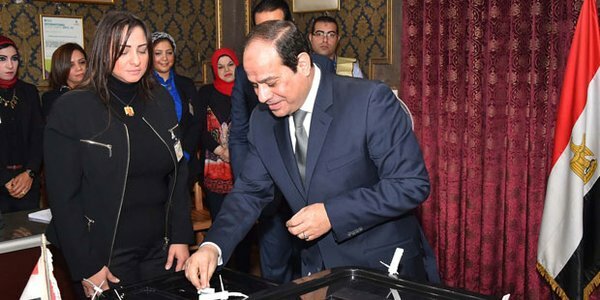 Clearly the US, Britain, and now Russian intelligence agencies are privy to information that, at least today, Egypt claimed had not been shared with them. The sheer numbers mentioned (20,000+ Britons, 50,000+ Russians) give some sense of what's at stake. Though tourism in Egypt has never fully recovered from the 2011 Revolution, the resorts on Sinai and the Red Sea Coast have remained popular, especially for northern Europeans in the winter months. If it is confirmed that a bomb was used, it could be a body blow to tourism, at least for this season. It's far from clear why Russia is cutting off all of Egypt and not just Sinai, but their dramatic reversal of position in just 24 hours clearly suggests they do not see this as an isolated incident. 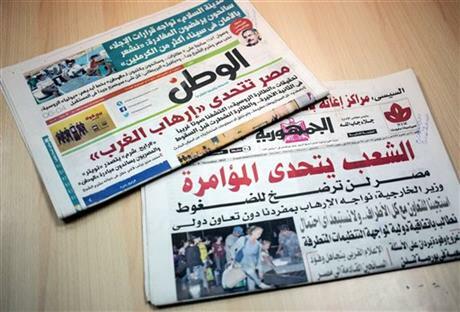 Egypt has promised a press conference for tomorrow: will it still be in denial? 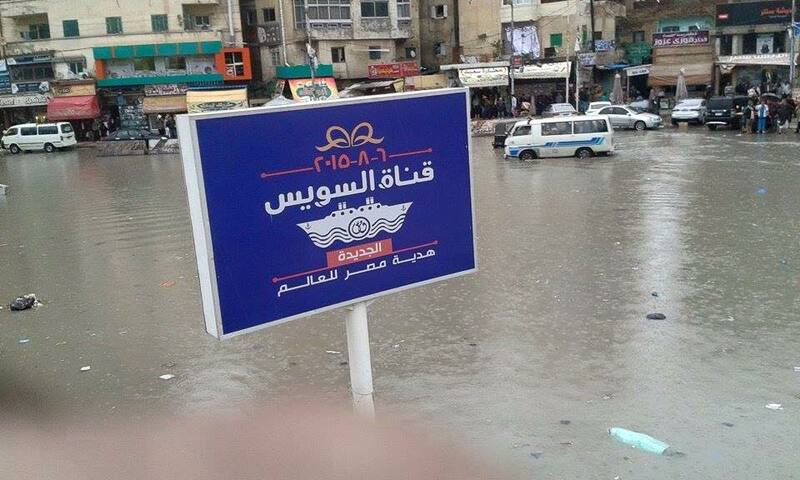 I'm not certain if this photo is from this week's Alexandria flooding or the previous one, but it's irresistible. The sign reads "The New Suez Canal: Egypt's Gift to the World" and presumably has been there since the opening celebrations this summer. 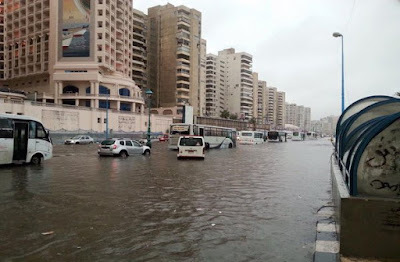 اسكندريه_بتغرق# (Alexandria is Drowning). 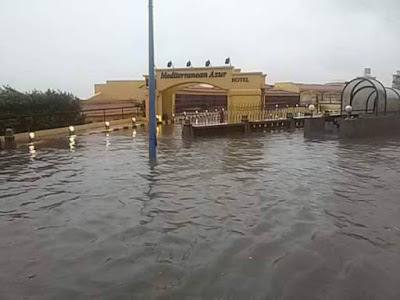 But it's not just the coast; much of the northern Delta is under water, and photos from the inland city of Tanta and even the usually desert Wadi Natrun are facing flooding. And winter hasn't yet begun. Some Egyptian tweets are referencing the Ten Plagues of Moses. 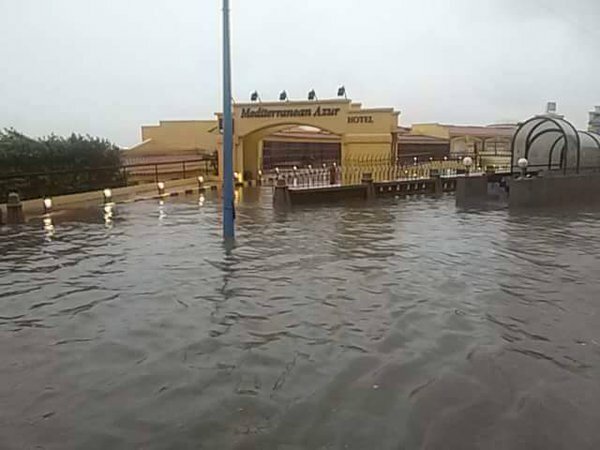 I won't bring up Tropical Cyclone Chapala, which has been hitting Yemen and Oman with hurricane-levels of rainfall exceeding several years worth of the norm. If I didn't have US politicians assuring me climate change is a myth, I might start to get worried. I will simply quote his lead and urge you to follow the link. "Disney fans mourn first Arab to voice-over Scrooge McDuck." As I wrote my earlier post about Ahmed Chalabi, a man of at best uncertain reputation, I realized that I had (mainly due to deadlines) failed to note the passing on October 24, at age 82, of another figure worthy of note, who was also a friend since the Sadat era: veteran Egyptian Washington journalist Muhammad Hakki. Muhammad (or Mohamed) had served as a correspondent for Al-Ahram and, in the Sadat years, as the press spokesman for the Egyptian Embassy, the capacity in which I first got to know him. In the last months of of Sadat's Presidency, Muhammad was recalled to Cairo to serve as Sadat's last Presidential press spokesman. 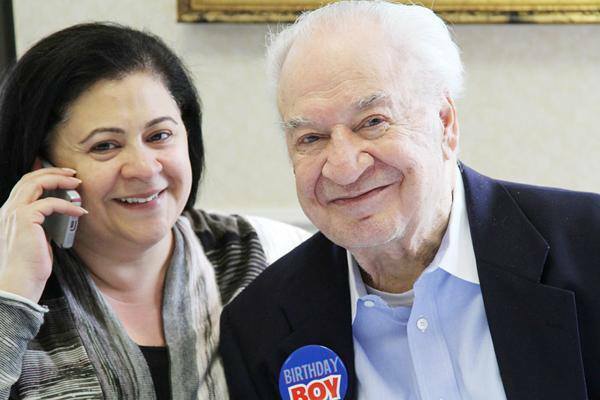 But almost immediately after the assassination, Husni Mubarak replaced him, and Muhammad returned to Washington, spending the rest of his working career as Washington Bureau Chief for various Arab media outlets, but mostly not Egyptian in the Mubarak era. 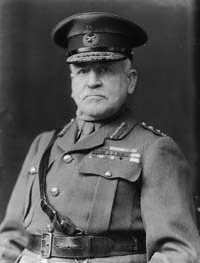 He became a Washington institution but remained very plugged in to Egyptian affairs, of which he was a reliable interpreter. He had two great talents for which Egyptians are famous: humor and the ability to tell a great story; his were enhanced by being true. 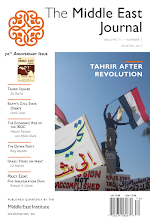 One of the current generation of Egyptian Washington Bureau Chiefs, Al-Tahrir's Thomas Gorguissian, has published an appreciation of Hakki's career in English in Al-Ahram Weekly. Thomas is also the source of the photo above. RIP, Hakki Basha. 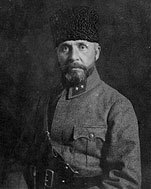 Yirhamuh Allah. Ahmed Chalabi has died at the age of 71, apparently from a heart attack. For several years before the launch of the Iraq War in 2003, Chalabi was the darling of the neocons, the liberator who would democratize Iraq. By the time he died yesterday, a Member of Parliament in Iraq and a Committee Chairman, some of his onetime champions had come to accuse him of being an Iranian agent. Although like most Middle East hands in Washington I crossed paths with Chalabi a few times, but never quite understood what so captivated his admirers. He was a well-spoken, well-dressed man, a persuasive speaker, but I could never really envision him as leading Iraq. And in the end, though he held Cabinet positions, he never gained he political traction in Iraq that he had enjoyed in George W. Bush's Washington. Chalabi was also at pains to explain the fact that he was a wanted man in Jordan following the failure of the Petra Bank he had founded; he insisted the prosecution was political, inspired by Saddam Hussein, and perhaps that was true. Unlike some, I don't blame Chalabi for "causing" the US to invade Iraq; if I'd been an Iraqi Shi‘ite I'd have wanted a superpower to take out my enemy too. I blame the credulous neocons who believed everything Chalabi and the rest of his Iraqi National Congress said, and somehow mistook him for George Washington. 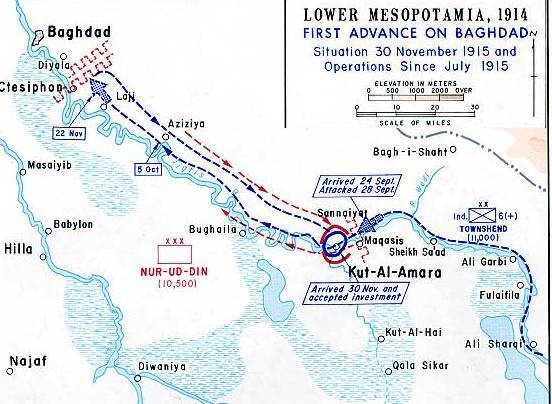 The US is responsible for its own mistakes, and those who were surprised when he became a sectarian Shi‘ite politician instead of an author of the Iraqi version of the Federalist Papers, never understood Iraq or Chalabi, an Iraqi Shi‘ite from a wealthy background, married to a daughter of Lebanese Shi‘ite figure and Speaker of Parliament ‘Adel ‘Osseiran. Over the past several days Israeli and Western media have been full of appreciations of the late Yitzhak Rabin, shot down by fellow Israeli Yigal Amir 20 years ago tomorrow. Most of what needs to be said has already been said by others, but I want to add a few thoughts of my own. 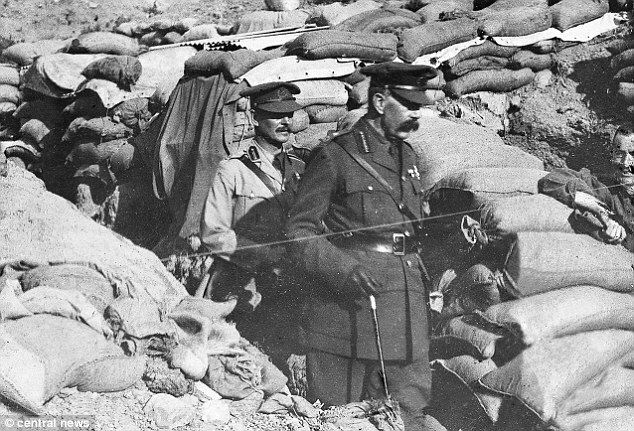 Speculating about alternative histories, the "what ifs? 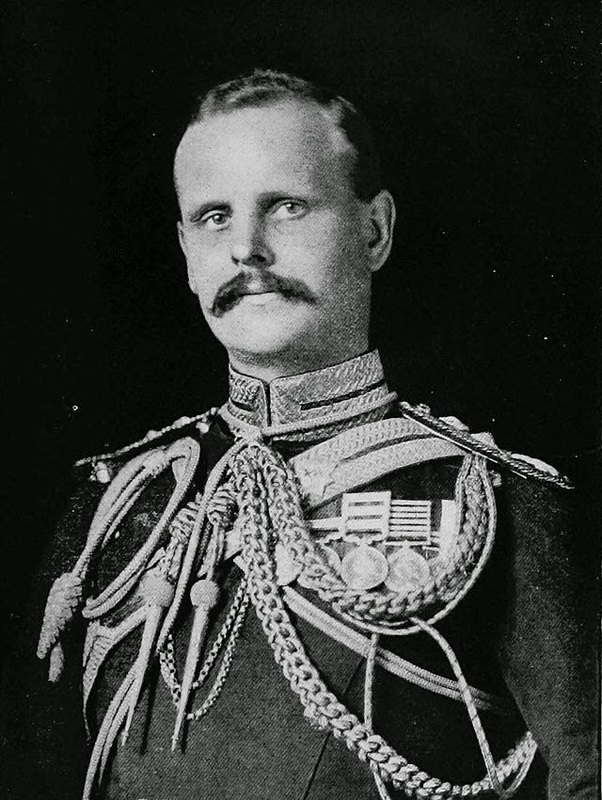 ", is one of the most tempting, but also most futile, of historical enterprises. 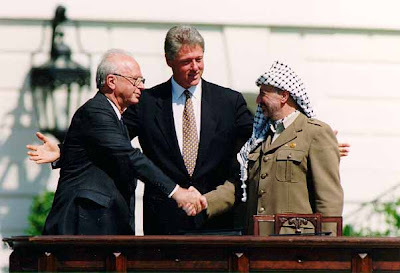 But in the two decades since Rabin's death, an entire generation of young Israelis and Palestinians has grown up which never knew the heady first years after the Oslo Accords, when so many things seemed possible, even within reach; as opposed to now, when nothing does. Rabin was an unlikely candidate for peacemaker, but like Richard Nixon going to China or Menachem Begin making peace with Egypt, that may have been an advantage. 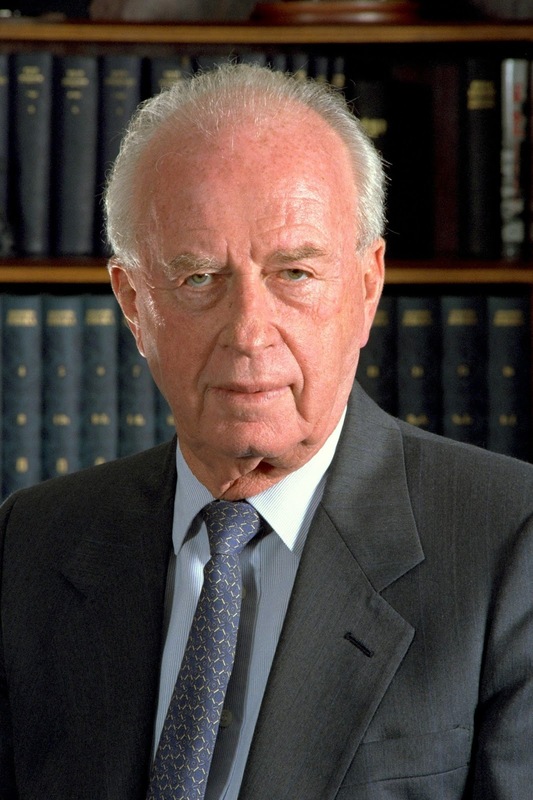 Born in Jerusalem in 1922, he would be the first sabra (native-born) Prime Minister (unless one counts a few days Yigal Allon served in an acting capacity between the death of Levi Eshkol and the election of Golda Meir). 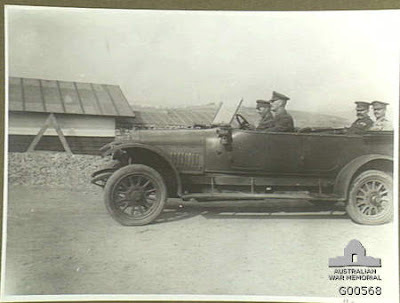 Chief of Operations for the Palmach during the 1948 War, Rabin soon began to rise through the ranks of the IDF. As Chief of Staff at the outbreak of the 1967 War, an apparent health issue led to controversy, but he overcame it, He served as Ambassador to Washington in 1968-1973, when, as a young grad student, I first saw him speak. In 1973 he was elected to the Knesset and within a year, after Golda Meir's resignation, he was elected leader of the Labor Alignment and found himself Prime Minister. A religious dispute led to new elections being called in 1977 and a financial controversy saw the victory of Likud under Begin. He returned to office in the 1980s, as Defense Minister in several governments. During the eighties I was writing on Middle Eastern defense issues and found myself in Israel almost annually and sometimes more. I met Rabin a couple of times and attended several press conferences and may have asked him a question or two, though I surely never "knew" him. 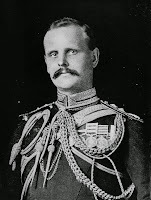 He came across as he did to many of his fellow-countrymen: smart and tough but with a rather abrasive personality; crusty, a chain-smoking, raspy-voiced soldier who didn't smile a lot. His personality was a sharp contrast to his longtime Labor rival Shimon Peres, who came across a a nice guy but not that effective, while Rabin was the tough cop who got things done. That may be unfair, but it is how he came across to his audiences. Rabin is rather visibly uncomfortable. In 2013 I compared it to two other uncomfortable Middle Eastern handshakes: that between Generals Giraud and de Gaulle at Casablanca in 1943 and that between Obama and Qadhafi in Italy in 2009. Oslo seems distant now. The failures which followed, especially the Camp David II collapse, was not one-sided; Arafat and Ehud Barak were both being asked to agree to something neither was ready to do. What if Rabin had lived? We'll never know. If John F. Kennedy had lived, would he have pulled out of Vietnam as Oliver Stone but few others believe? If Lincoln had lived, would Reconstruction have been different and Jim Crow avoided? If Rabin had, lived, would we have a two-state solution? Thanks to the bullets of Lee Harvey Oswald, John Wilkes Booth, and Yigal Amir, we're never going to know. Rabin died 20 years ago tomorrow. Oslo died more recently, and many think it's time to take the two-state solution off life support. Would things have been different had he lived? We'll never know, but I want those born or who have come of age since then to know what once, however improbable, once seemed at least possible and even within our grasp. I still want to believe it might have been so. 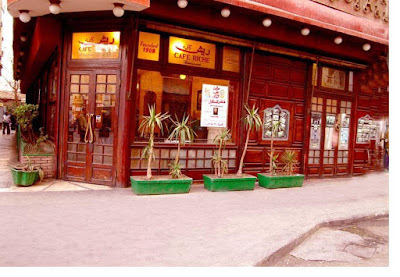 I've posted about Cairo's famous Cafe Riche more than once, last spring when the owner's death led to its closure, perhaps permanently, and a discussion back in 2011 as to whether today's Riche was living off its historical reputation as opposed to the genuinely authentic place I frequented in the 70s and 80s. It's now reported that the Riche has reopened, under the late owner's brother. That's good news for Cairo nostalgia fans, and the mandatory interview with Felfel, a waiter now said to be in his 80s; the article calls him Aam Felfel, so I'm pleased to learn he's now acquired the venerable appellation of "Uncle" in the 30 years or so since I saw him almost daily; I hope a raise or two came with it. My earlier postings on the Riche dealt with its legendary past, and when I lived in downtown Cairo in 1977-1978 I was a patron almost daily, and again on periodic visits throughout the 1980s. The 1992 earthquake severely damaged the cafe and it was closed for several years. 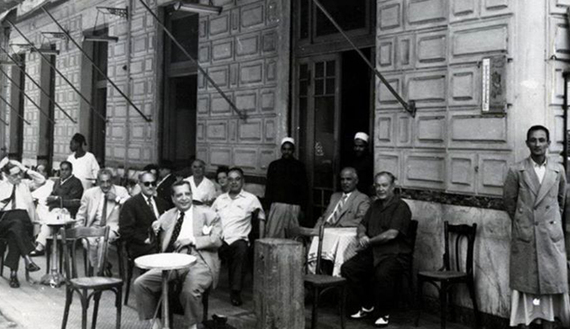 Café Riche’s vibrant political history led to its closure during the rule of Anwar al-Sadat. 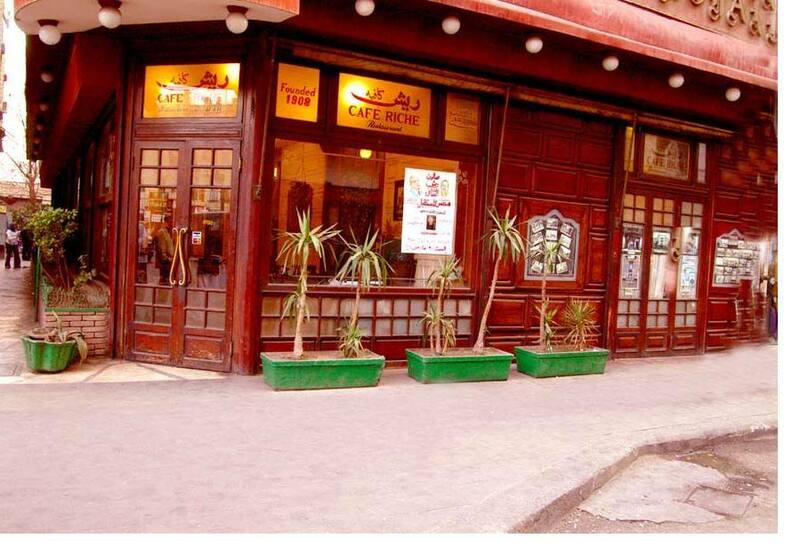 Although the late president was himself a patron of the café, he had it closed after he witnessed heated discussion and debates over his rule and the peace treaty with Israel taking place within its walls. Even if the Riche is still dining out on its onetime reputation, it's good to hear that it has reopened. 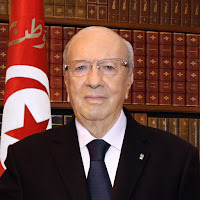 Nidaa Tounes has always been something of a loose coalition of secularist figures, businessmen, stalwarts of the Bourguiba and Ben Ali eras, and the UGTT trade union confederation, united behind President Beji Caid Essebsi, who turns 89 at the end of this month. Over the weekend the Party's Executive was scheduled to meet in the resort town of Hammamet, but a worsening factional split led to a physical brawl between conservative and liberal factions of the party as some leaders were denied entry and supporters of rival factions fought each other with clubs, causing damage to the five-star hotel where the meetings were to be held. See stories here and here. The more conservative faction, with links to the former regime and the business elites, centers around the President's son, Hafedh Caid Essebsi, who has emerged only in the past year or so as a leader. The liberal faction, around Party General Secretary Mohsen Marzouk, claim the President is seeking to arrange for a dynastic succession for his son as head of the Party, evoking the nepotism of the Bourguiba and Ben Ali eras. 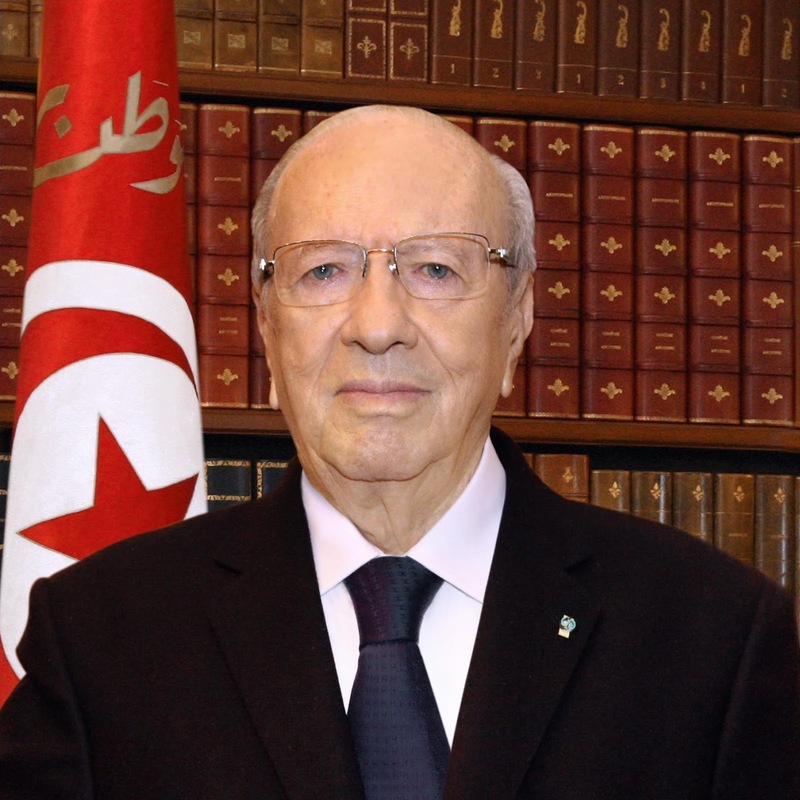 The Essebsi faction accuses Marzouk of Presidential ambitions. An attempt by the President to bring the factions together at the Carthage Presidential Palace failed when many deputies refused to attend The liberal faction claims about 35 deputies are ready to leave the party, which would deprive it of it status as the largest party bloc. Meanwhile they claimed Hafedh Essebsi is cultivating alliances with Ennahda, which is also part of the loose ruling coalition. I never claim to be an expert on Turkey, especially Turkish politics. I chose not to make any predictions here on the November 1 elections, mostly because I believe it's safer to save your predictions until the results are known. 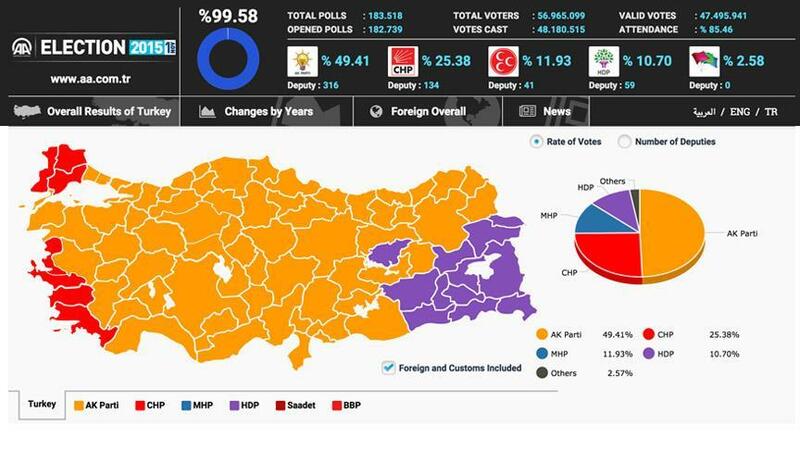 The AKP victory was not unexpected, but the scope of the landslide was greater than many had forecast, reversing the setbacks suffered in the June elections and the stalemated situation in attempts to form a coalition that followed. With the AKP again enjoying a majority, the proposed constitutional changes favored by President Recep Tayyip Erdoğan now may well pass, further strengthening Presidential power. In June many read the setbacks as a defeat for Erdoğan, and so this will be seen as a victory for him as well, though technically the President is above Party and no longer a member of the AKP, and the victory is really that pf Prime Minister Ahmet Davutoğlu. The dynamics between Davutoğlu and Erdoğan are a subject of considerable discussion and will be worth watching.